Ling means a symbol, and Udbhava means birth or creation. So the word actually means the birth of the symbols of pure existence. The lingam has the form of a mathematically perfect figure, the ellipsoid. It has neither a front nor a back, and is without an end or beginning. The lingam is the fittest symbol for representing the formless Divine Essence that is God. Thus, when the lingam emanates from the mouth of a saint like Swami Premananda it is symbolic of the birth in time and space of THAT which is formless and eternal, within a simple geometrically perfect entity, the lingam. It is said that all things emerge from the lingam and finally merge into the lingam. 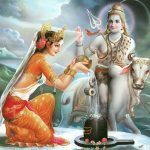 The lingam is the mark or sign of Lord Shiva. 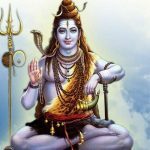 It is the most common icon of Shiva and is found in most Shiva temples. 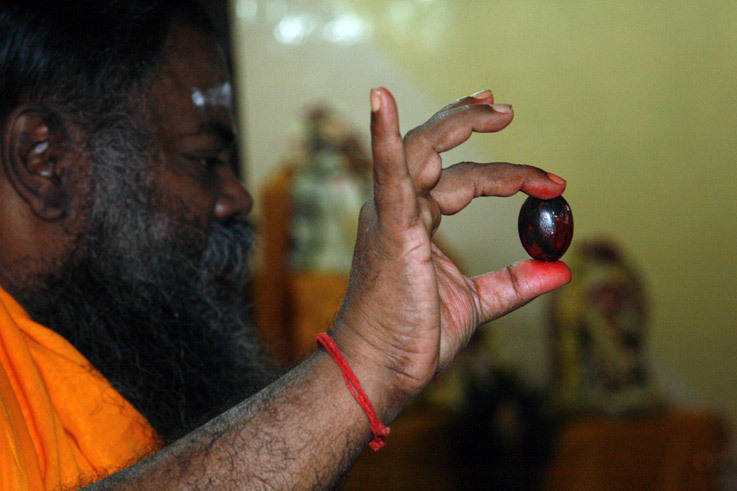 On the special night of Mahashivaratri, a number of lingams manifested from Swamiji’s body. 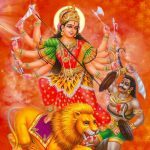 Through this spiritual phenomenon the tremendous power of formless Divinity is brought forth into the world. When the lingams were inside his body they were incased in a bag of red liquid called, ‘kumkum’. As they emerged from his mouth the bag would burst and that liquid would come out eventually drying to a powder.